Susan's Disney Family: A great new look and sweet new treats from Voortman Bakery! A great new look and sweet new treats from Voortman Bakery! At Voortman Bakery, they care about what goes into our cookies. Since their bakery first opened in 1951, they have been dedicated to making the very best quality cookies that our customers love. Their bakers have always insisted on using the finest, hand selected ingredients, known for their exceptional quality and flavor. They were the first cookie company to remove all trans fats from their products in 2004. 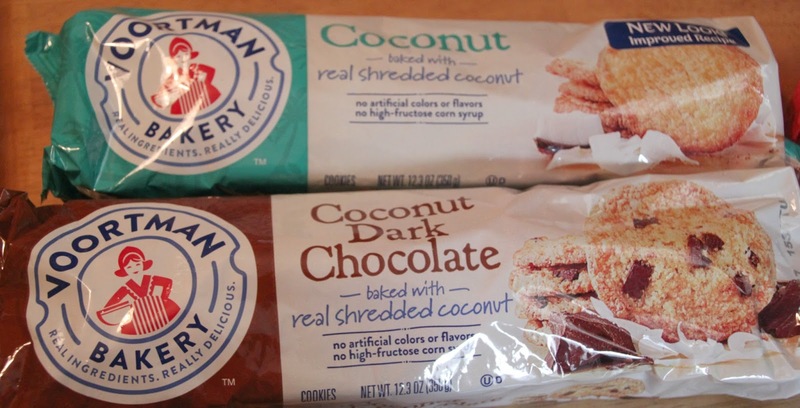 I have been a fan of Voortman cookies for many many years, ever since I was a little girl. The cookies bring back some sentimental memories of sharing the wafers with my great grandmother. She always seemed to have some stashed away in the cupboard for us to share when I visited. When I heard that there was going to be a change to the cookies I loved, I was a bit concerned but I quickly found out that the change is for the better a newer look and better tasting (if that is possible?) cookies. I was very fortunate to be able to try out an assortment of Voortman to snack on. 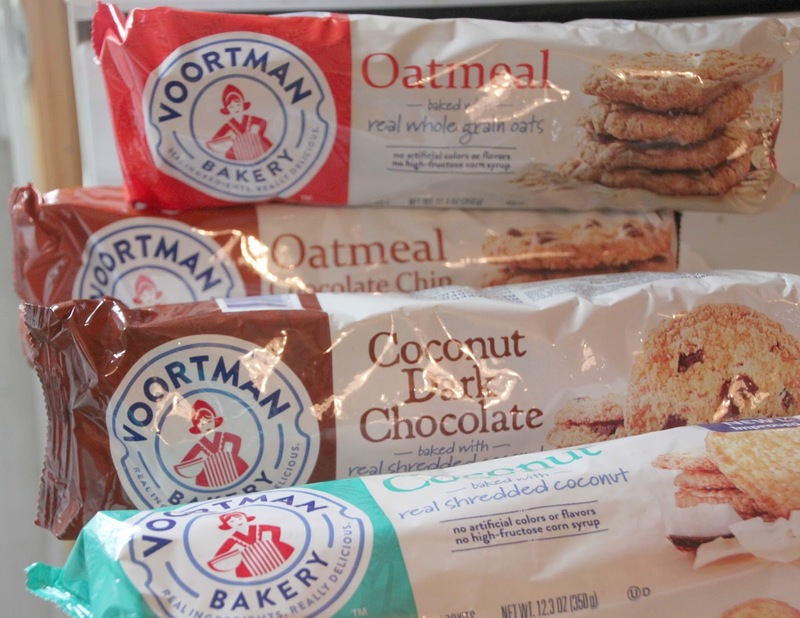 The Voortman cookies and wafers selection, included new and better tasting products, Chocolate Wafers, Strawberry Banana Wafers, Peanut Butter Wafers, Coconut Cookies, Coconut Chocolate Chip, Oatmeal and Oatmeal Chocolate Chip Cookies. These cookies (and all other Vootman products) contain no artificial colors or flavors and no high-fructose corn syrup and no Trans Fats. Something that I love! When I want to treat myself or my family I feel better buying a less junk filled snack like these cookies and wafers. Speaking of wafers, my husband has to be the biggest fan of these classic wafers, he prefers wafers over cookies and has been enjoying Vootman wafers for years now. We were able to check out some of the great flavors including a better tasting version of the Chocolate Wafers, these had a great chocolate flavor and were delicious. The Strawberry Banana Wafers, were sweet yet light and had a great banana flavor, my daughter liked these because as she said “it is just not strawberry, it is so much better having the banana and strawberry” well you heard it, banana and strawberry together makes a great flavored wafer. One of my favorites are the Peanut Butter Wafers, the sweet peanut butter flavor was delicious as ever. I like to pack up a few of these and bring them to work, so when I am in search of a sweet treat these are ready to be enjoyed. If you are more of a cookie fan there are plenty of Voortman Bakery treats to choose including the new treats. The Coconut Cookies are a tropical delight filled with coconut crunch and flavor. If you are looking for a little chocolate check out the Coconut Chocolate Chip cookies. These cookies are filled with dark chocolate chips and are amazing. They really remind me of one of my favorite chocolate and coconut candy bars, mmm sweet delightful cookies. My daughter and I just adored the Oatmeal and Oatmeal Chocolate Chip Cookies. There is nothing more classic and homemade to me than an oatmeal cookie, and adding chocolate chips to a classic cookie, well that is never a bad idea. I remember baking cookies like this with my grandmother, oh those are memories that I cherish. These Voortman cookies remind me of the crunchy oatmeal cookies Gram and I would bake. Perhaps this is because the Voortman cookies are made in an actual bakery by real bakers! You can really taste the difference. I love the new look, the new packaging is sleek and modern very classy looking for the Voortman cookies and wafers. Where can you purchase these sweet treats? Well Voortman’s new products are rolling out at Walmart, Target, Kroger’s and over 30k retailers across the country. Voortman Bakery makes over 60 unique varieties of cookies, including an extensive line of sugar-free and low sugar products. Be sure to pick up a package or two, I am sure you will love the new packages and the amazing flavors. The generous folks at Voortman Bakery are giving one of Susan's Disney Family readers a chance to win a Voortman Bakery prize pack, the pack includes 5 packages of Voortman Bakery goods. Would you like to enter? Please let me know if you are a fan of Voortman Bakery? Do you have a favorite cookie, or what do you think of the new packaging? There are also other ways to enter, please enter below. You can purchase these great treats at your local grocery store. To find a store near you be sure to visit the Voortman product locator. 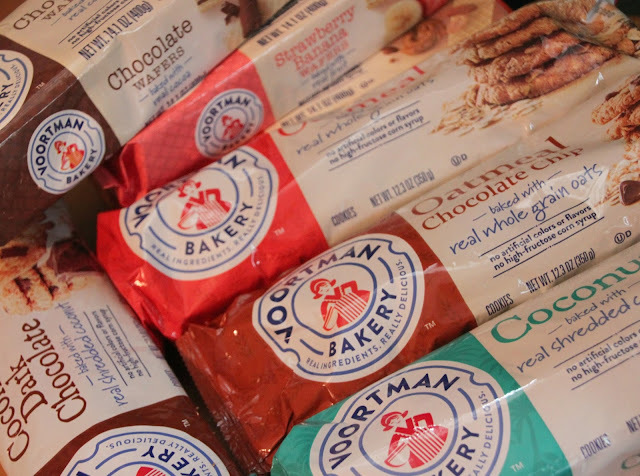 One winner will win a Voortman Bakery prize pack! Disclosure: The reviews and or opinions on this blog are my own opinions . I received an assortment of Voortman goods to facilitate this post. No monitory compensation was received. I was not required to write a positive review. Your experience may differ. The opinions I have expressed are my own I am disclosing this in accordance with the Federal Trade Commissions 16 CFR Part 255: Guides Concerning the Use of Endorsement and Testimonials in Advertising . We like Voortman bakery here for snacking. I like the Peanut butter wafers or the Oatmeal Chocolate Chip. 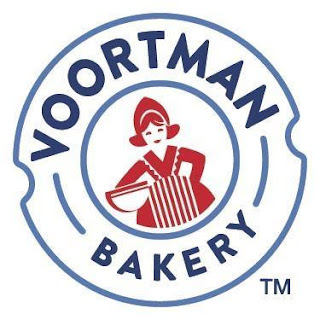 I haven't tried Voortman Bakery products before, but I'd really like to try them. Especially the Coconut and Coconut Dark Chocolate cookies. Sounds delicious. Thanks. 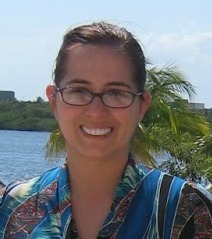 The Dark coconut chocolate cookies are amazing & I am definately a fan !! I've never tried any of their cookies, but they look good. I like the new packaging. The colors are nice. I haven't tried these cookies before but I think they look delicious. This is the 1st time I have heard of this brand, would like to give it a try. I like the updated packaging. It looks more modern. I like Voortman's windmill cookies. I haven't tried Voortman Bakery products yet but I have seen them in the store. I think I would love the oatmeal chocolate chip ones. I have tried various Voortman Bakery products and I enjoy them all. The new packing is terrific too. I have loved Voortman Windmill cookies since I was a little girl. Yum! I love the packaging! I've never tried this brand before. I don't think I've ever tried Voortman Bakery cookies, but they sure look good! I have never tried Voortman goodies before but the cookies look delicious! I've never tried any of their cookies, but they look delicious. I am a fan of Voortman Cookies. I think the strawberry banana wafers sounds like a flavor I would like to try. I've never tried any of their cookies. The packaging is appealing. I haven't tried these cookies before but they look delicious. I've never tried this brand before but I'd love to try the vanilla wafer cookies! I've never tried any, but the Coconut looks good. I have never eaten Voortman cookies. All of them look yummy! I'm sure I'd especially like the coconut dark chocolate. 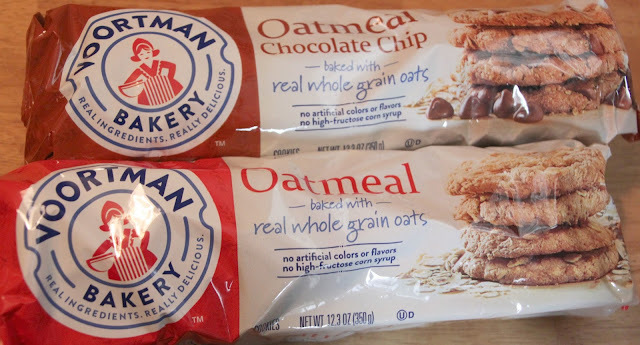 I love Voortman cookies...oatmeal chocolate chip are my favorite. 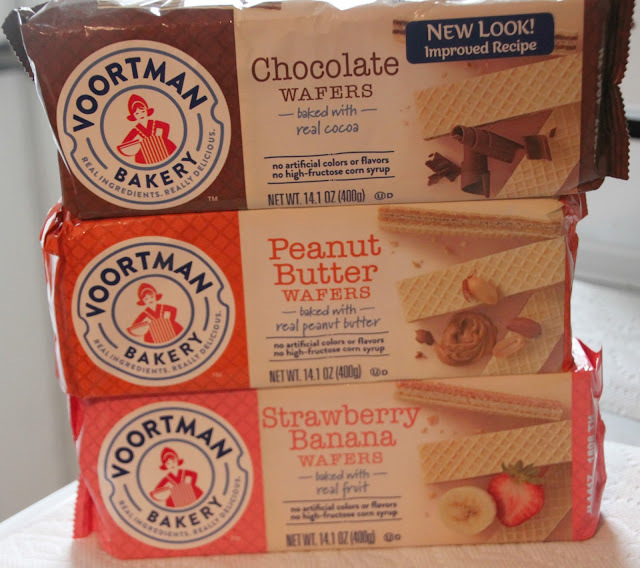 I have not tried Voortman Bakery but the wafer cookies look great. I've not tried this brand before, but I'm a big fan of peanut butter cookies! I am a fan and love their chocolate wafers! I haven't had them in ages though! Growing up I'd call my aunt, "The Cookie Lady" as she always had a cookie jar full of Voortman cookies. My favorite was the windmills. i love their oatmeal and coconut cookies. OMG i am so hungry looking at these pics! I've never tried Voortman's before, but my favorite cookies are chocolate chip cookies! We have not tried them. I have never tried anything of their brand before! I'd love to try the strawberry banana wafers tho! I have not tried Voortman Bakery before. The peanut butter wafers look yummy.